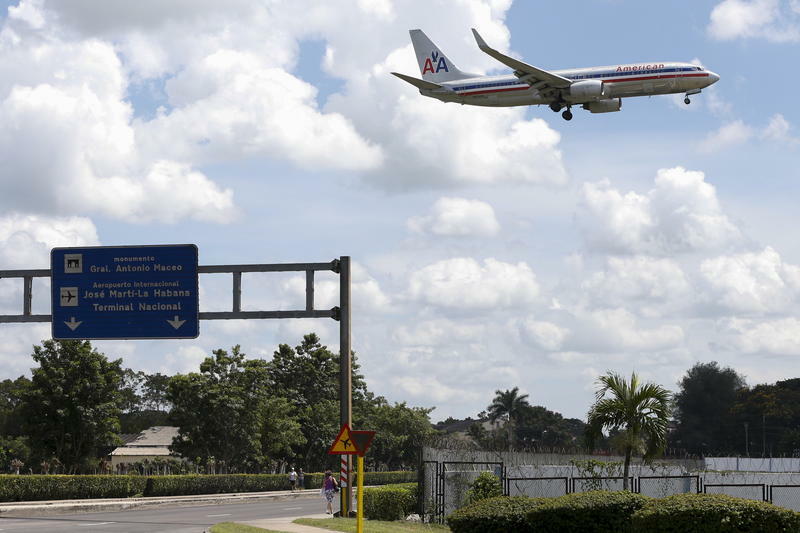 Can Charter Firms Stay Aloft As Commercial Flights Take Off For Cuba? Cuban passengers check in at Miami International Airport with mounds of luggage for a charter flight to Havana. Jet Blue made history on Tuesday morning with its flight from Fort Lauderdale to Santa Clara, Cuba - the first U.S. commercial flight to Cuba in 55 years. But what happens to the charter flights folks have relied on for so long - the jetliners that for decades ferried thousands of Cuban uncles and aunts, students and academics, cigar lovers and curiosity-seekers, but often at prices that seemed pretty steep for a half-hour journey? Jet Blue’s roundtrip service between South Florida and Cuba costs about $215. That’s almost three times less than what charter flights have charged. So are the charter companies set to fold up? Not at all, they say. A big reason charter fares were expensive were the exorbitant landing fees Cuba charged before the U.S. and Cuba normalized relations. Charter companies now expect to see the lower fees commercial carriers will get. And that should help the charters compete. 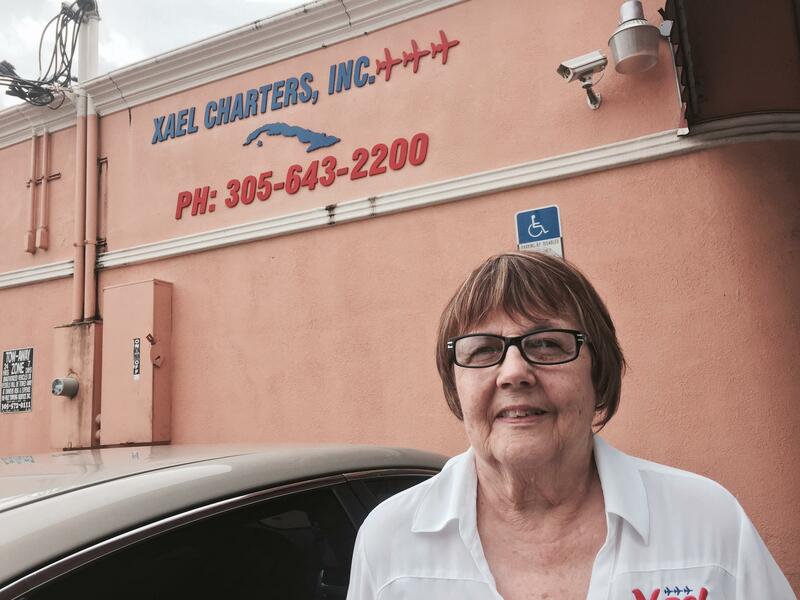 Elena Freyre of Xael Charters in Little Havana. Elena Freyre, an executive at Xael Charters in Miami’s Little Havana, believes the 20 daily commercial flights to Havana that Cuba is set to allow won’t be enough to meet demand. She feels other factors are still in the charters’ favor, too. Freyre says that reflects the community role the charters have played here - not to mention the harassment they faced in the early day from hardline Cuban exiles, who considered any travel to Cuba aid to the communist Castro regime. Freyre concedes, however, that companies like Xael will need to transition to other Cuba travel-related services besides charter flights to stay viable. 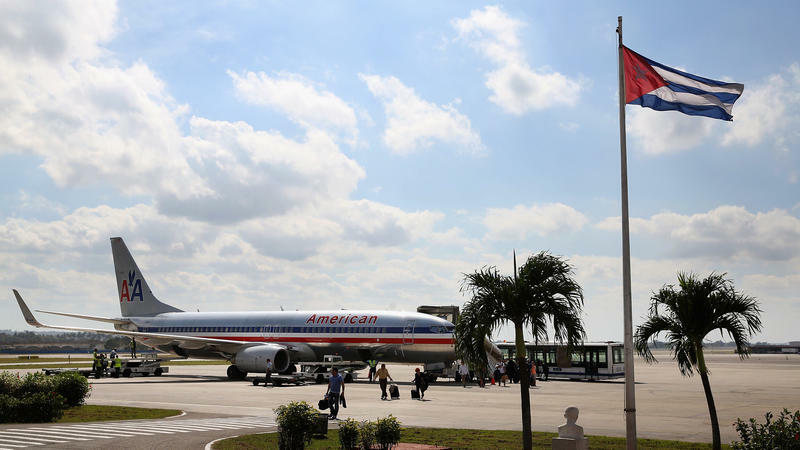 The Department of Transportation has authorized six U.S. airlines to schedule round-trip flights from the U.S to Cuba — starting as early as this fall. If you've been wanting to go to Cuba, getting there just got a lot easier. The US and Cuban governments on Tuesday announced a new air service agreement between the two countries, which allows up to 110 direct commercial flights each day — 20 of them to Cuba's capital of Havana, and 10 each to Cuba's nine other international airports: Varadero, Holguín, Santa Clara, Cayo Coco, Cayo Largo del Sur, Camagüey, Cienfuegos, Santiago de Cuba and Manzanillo de Cuba. The first commercial flights from Tampa to Havana in more than 50 years will begin in late October at the earliest, but they're already muscling out at least one local charter company.